· Driving the assigned vehicles, carrying out routine checks on the vehicle’s cooling oil,electrical,tyre pressure and break systems, etc. · Detecting and reporting malfunctioning of vehicles systems, maintenance of work tickets for vehicles assigned. · Ensuring security of the vehicles on and off the road. · Overseeing safety of the passengers and or goods. · Maintaining cleanliness of the vehicles. · Be a Kenyan citizen. · Pass suitability test for driver grade III. · A valid driving license free from any current endorsement for classes of vehicles the officer is required to drive. · Passed practical test for drivers conducted by the recruiting authority. · Must have a certificate of good conduct from the Kenya Police. · At least 2 years driving experience. · Attend a First Aid certificate course lasting not less than one (1) week at St. John’s Ambulance or Kenya Highway & Building Technology (KHBT) or any other recognized institution. · Manage Public Relations department. · Improve management and employee relations. · Prepare and publish newsletters and other county literature. · Release promotion literature about new products. · Respond to information queries from the general public. · Identify audience for products or service. · Develop and maintain corporate image and logos of the county. · Maintain effective working relationship with the local and county government officials and media representatives. · Formulate policies and procedure related to public information programs. · Manage the county’s reputation with the public in general and clients. · Compile comprehensive information about the county for the public relation. · Develop and launch internet or intranet web page. · Confer with the other county officers in order to develop internal communication to inform employees of various county activities. · Develop Public Relations strategies. · Have a minimum of a Diploma in Public Relations/Media Communication or any other relevant degree from a recognized university in Kenya. · Have Knowledge, experience and a distinguished career of not less than five(5) years in public relations. · Ability to work within tight timelines and meet deadlines. · Demonstrate initiative and a high degree of professional competence. · Be a member of Public Relations Society of Kenya or any other relevant professional body. · Satisfy the requirements of Chapter 6 of the Constitution of Kenya. · Assisting in sourcing for appropriate television and radio programs to disseminate information on activities of the Governor. · Documenting the Governor’s events through video, photography and press cuttings. · Preparing and placement of radio and TV commercials. · Assisting in the development of communications and media strategy. · Diploma in any of the following disciplines: Mass Communication, Journalism, Public Relations, Corporate Communication, Communication Studies, Media Studies/Sciences or any other relevant diploma from a recognized institution in Kenya with a distinguished career of not less than three (3) years. · Satisfy the requirement of Chapter Six of the Constitution. · Researching on possible causes of negative publicity on the Government on both local and international press. · Assisting in the development of appropriate strategies to address the situation; identifying Government events that require packaging for dissemination to the media and the public. · Assisting in organizing fora where Government policies, programmes and projects can be propagated and promoted. · Assisting in developing standards and regulations in the department. · Assisting in the production of publicity brochures, handouts, direct mail leaflets, promotional videos, photographs, films etc. · Assisting in organizing events including press conferences, exhibitionism, open days, press tours. · Have served in the grade of Public Relations Manager (Job Group N) or with a minimum period three (3) years as Public Relations Officer Job Group M.
· Have a Bachelor’s degree in any of the following disciplines: Mass Communication, Public Relations, and Communications Studies, Journalism, International Relations, Social Sciences or any other approved equivalent qualifications from a recognized institution. · Possess advanced computer application skills. · Possess good oral and written communication skills in both English and Kiswahili. · Be a person of high integrity, motivated and a team player and. · Have a Certificate in Senior Management Course OR its equivalent from a recognized Institution. · Duties and responsibilities will entail recording dictation in shorthand and transcribing it in typewritten form; typing from drafts, manuscripts or recording from dictation machines; processing data; operating office equipment; attending to visitors/clients; handling telephone calls and appointments; ensuring security of office records, equipment and documents, including classified materials; preparing responses to simple routine correspondence, and undertaking any other secretarial routine duties that may be assigned. · Working experience of a minimum period of three (3) years. · A Bachelor’s Degree in Secretarial Studies or a Bachelor of Business and office Management or equivalent qualifications from a recognized institution. · Diploma in Secretarial Studies from KNEC or its equivalent qualifications from a recognized institution. · A Certificate in Computer Applications (*Windows, MS-Word, MS Excel, MS – Access and Internet) from a recognized institution. · Planning, organizing, directing, coordinating and controlling of the County revenue collection function. · Design, formulation and implementation of Comprehensive, efficient and effective revenue management system. · Development and implementation of County Revenue diversification plans and revenue growth. · Implementation of county policies and regulations on revenue. · Maintenance or records of all the revenue sources, rate and revenue collected. · Projection of regular revenue trends for planning and decision making in the County. · Any other duties assigned by the Chief Officer Finance and Planning. · Have a minimum of a Bachelor’s degree in commerce (Accounting/Finance option) from a recognized institution/ University in Kenya. A master’s Degree will be and added advantage. · Be a holder of a Bachelor’s Degree in Commerce (Accounting / Finance option) from a recognized university. · Be a holder of CPA (K) or its related equivalent. · Be able to demonstrate familiarity with public financial management, revenue and accounting system. · Have at least six years post qualification experience, 2 of which must be in a senior management position in a busy commercial or public financial accounting or treasury environment. · Demonstrate good communication and analytical skills. · Satisfy the requirements of Chapter 6 of the Constitution of Kenya 2010 on leadership and integrity. · Have a Certificate in Strategic Leadership Development Program (SLDP) lasting not less than six (6) Weeks from Kenya School of Government OR equivalent senior managerial training from a recognized institution. · Coordinating activities related to delivering clean water and sanitation services. · Supervision of activities relating to delivering water and sanitation services. · Implement Government strategies on provision of water services. · Ensure timely delivery of Government programs. · Develop programs to ensure quality water is delivered to citizens. · Develop programs for upgrading rural sanitation systems. · Ensure development and supervision of reliable urban sewerage systems. · Prevention and management of floods. · Supervision of irrigation activities. · Advise Government on water and sanitation activities. · Any other duties as may be assigned. · Be a holder of a Bachelor’s Degree in a course relevant to Water Services (a Master’s degree will be an added advantage. · Relevant work experience of not less than five (5) years in senior management position. · Compliant with Chapter 6 of the Constitution on integrity. 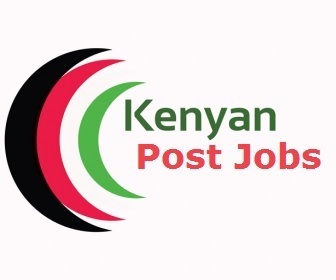 · Existing Public Service Staff within the County who are in Job Group N and above may apply. · Registration with a professional Body will be an added advantage. · Planning, organizing, directing, coordinating and controlling of internal audit services. · Playing key role in maintaining a strong control environment and supporting initiatives that improves performance. · Undertaking staff capacity building for staff at the county level. · Establishing the risk based audit plans consistent with county objectives. · Developing leading capabilities in terms of resources methodology and technology. · Communicating plans of engagement and resource requirement for internal audit functions. · Be a holder of Bachelor’s degree in Finance, Accounting, Business Administration, Commerce or any in a relevant equivalent. · Be a holder of CPA (K) or its recognized equivalent. · Be registered with the institute of Certified Public Accountants of Kenya (ICPAK) or Association of Certified Fraud Examiners (ACFE). · Master’s degree with a bias in Accounting or Finance will be an added advantage. · Have a very good Microsoft Excel and IFMIS management skills. · Have a Certificate in Strategic Leadership Development Program (SLDP) lasting not less than six ( 6) Weeks from Kenya School of Government OR equivalent Senior managerial training from a recognized institution. · Consolidating and prioritizing of areas for allocation of public resources for the county. · Identifying programmes at the county and in consolidating programmes at the sub county level for inclusion in the project bases budget. · Issuing guidelines of the budget process to be followed by all county offices. · Preparing and submitting the county budget Fiscal strategy paper (CFSP) in line with the county objectives in the Budget Policy Strategy to the County Executive. · Preparing and submitting the County Budget Review and Outlook Paper (CBROP). · Publishing of the CBROP. · Preparing and submitting the relevant draft bills to the County Assembly. · Ensuring the systems in place are adopted and used as required. · Coordinating allocation of resources among sectors through the sector process. · Provide leadership in budget management in the county. · Undertaking capacity building of the staff at the county level. · Dealing with county assembly questions and issues pertaining to expenditure, monitoring and control. · Advising the county secretary on budget management. · Assemble the risk involved in new and existing budget policies. Hand delivered at the Board offices Ground floor Maghamba Plaza, Opposite Kenya Power offices, Voi. · Candidates must attach a clear copy of their national identity card or valid passport. · Candidates MUST satisfy the requirements of chapter 6 by obtaining Clearance from HELB, DCI, KRA, CRB and EACC. · Friday 14th September, 2018. · Only shortlisted candidates will be contacted. · Youth, women and persons with special needs are encouraged to apply. · Candidates found canvassing will automatically be disqualified.